Off to the weekend. Looking forward to having my kids teach me. What I learned from Kendra, my almost 3 year old girl. Last night we walked to the park. 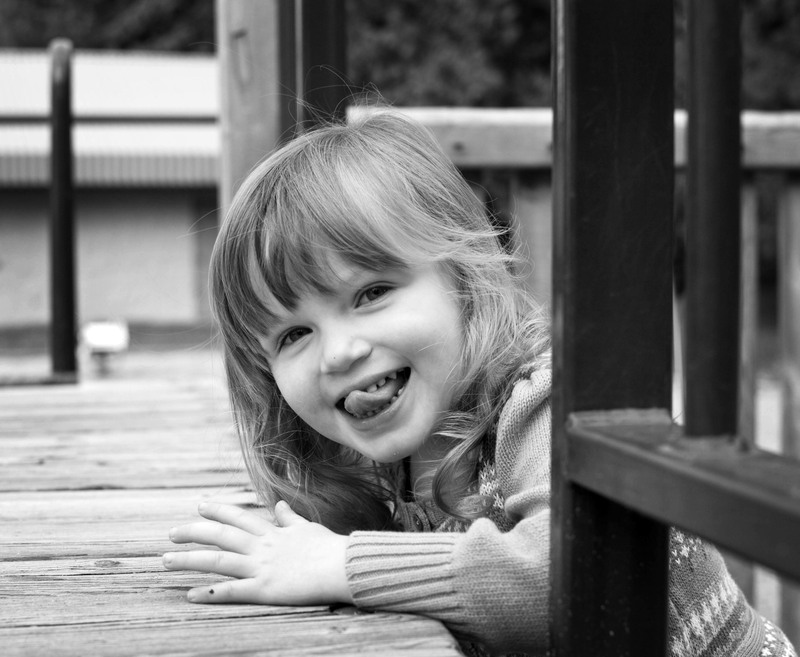 Kendra is a cautious little girl, but still loves to do things on her own. I am her Dad, I love to help her all the time. As most of us do, she can climb her way up ladders, but she has a harder time coming down. I would like to go over and teach her how to get back down and spot her along the way. She would rather figure it out on her own and like last night she will tell me, “Daddy go sit down on the bench.” I did, she climbed down a couple of stairs, doing it her way, got scared and then called me back with a little quiver in her lip. I helped just enough for her to get down and then we celebrated her success. Do you currently have help that you do not use? Do you recognize that those who would help loved to be asked? I know I do. I had a great time at the Delta Chamber of Commerce luncheon on January 21st sharing how social media can help enhance business relationships. Leadership is always about people. No matter how much technology we have, the big question is did we connect with followers and do we have influence. Not the influence of power, while sometimes that may be used, an influenc e that is sustainable, one of leadership. The aligning of followers aspirations to a higher goal is the process of leadership. The effective leader balances a vision for a better future with the practical realities of their relationship with followers and the relative persuasion that the followers represent. The transformational process has many contemporary and historical examples where societal change is initiated or represented by leaders. Enduring attributes should remind us to look at the legacy and impact leaders have made. We can learn from the exercise of power, that of influence and the resulting legacy of the different styles. In Canada, culturally we do not celebrate our leaders. I have always been interested in American heroes/leaders. In Canada, our historical figures do not take on the hero status of the American founders. Our founding Prime Minister is remembered as much for his drinking as he was the political achievement of connecting our country. My cultural proclivity makes me wonder if my caricature view of American historical figure is accurate. Lincoln is a case of where the more I learn about his leadership, the more remarkable he becomes. He may be a hero that we can learn from and seek to aspire to his leadership abilities. The emancipation proclamation was the right thing to do. In Lincoln’s day it was politically unattainable. At a time of civil war, the north and bordering states needed a unifying message. Large scale social change would not be the most practical agenda. It appears that from early on in Lincoln’s career he showed sympathy to the abolitionist movement. He was the person in a position to make this change. He had the emancipation policy laid out and shared with his cabinet six months in advance of announcing it. The cabinet was not sure if he was wavering with his delay. Lincoln was focused on getting the popular support to have this change come to be a reality. He was taking the steps to frame the decision as one of saving the union and depriving the enemies of resources. Not the same aspiration of the abolitionists, but the same result. He had the patiences to wait until the north would follow. He still had detractors, but he needed the populist mood to be on his side to make this happen. His timing was spectacular. Lincoln’s patiences enables strong support for a tactical change to win the war that became a transformational change to the American society. Lincoln was an underdog. He was underestimated and built a reputation as a conciliator. He did not let ego get in his way of progressing an agenda. The best example of this was his interaction with one time presidential rival and then Cabinet member Salmon Chase. Chase bad mouthed Lincoln; he kept his own leadership ambition alive and many times threatened resignation. Lincoln had a purpose for him and he needed Chase’s influence to achieve his goals. He did not turn Chase’s attacks into a personal battle. Most of us would have sent Chase away for disloyalty, inconsistency and sensitivity. Lincoln recognized his value and was humble enough to do want needed to be done to progress his agenda and that of the nation. Leaders have to suffer defeat and criticism (this may be a good reminder today). Lincoln had many defeats and in the darkest days of the civil war he stood firm. He worked to unify fighting Generals, encouraged a dejected Cabinet and continued on working the plan. As quoted from Doris Kearns Goodwin’s book Team of Rivals “Lincoln withstood the storm of defeat by replacing anguish over an unchangeable past with hope for an uncharted future.” We do not lead with defeat, but from the hope of a better tomorrow and the belief that our actions will make the difference. Lincoln leaves me with the intentions to be hopeful. I know that we have achieved great things before and will again. I need to be humble in the face of adversity. I will see the right time to act and not just the right action. These lessons will be helpful when guiding businesses or my family. It is fair to say that we have big challenges around the world today, but the challenges of a fractured country in Lincoln’s day would be more than daunting. I hope our leaders have the similar characteristics to that of Lincoln. It may be possible for the pragmatist to be the one who delivers the vision. 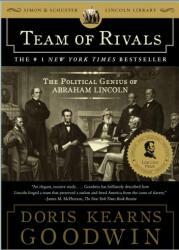 Thanks to Ronald Kustra (Proud torch carrier Vancouver 2010 Olympics) for recommending the Team of Rivals, The Political Genius of Abraham Lincoln. It was a great read. 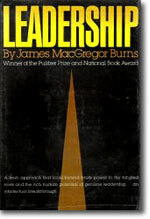 The second book that I am reading for the second time is Leadership by James MacGregor Burns (1978). Great books have timeless insights and that is true for this book.